Montréal, Canada, 2018-Sep-06 — /Travel PR News/ — Bombardier Business Aircraft and Garmin today (September 5, 2018) announced a significant avionics upgrade for the Bombardier Visionflight deck aboard the Learjet 75 and Learjet 70 aircraft, which are already equipped with one of the category’s most generous and advanced cockpits, powered by the Garmin G5000 avionics suite. The upgrade, currently in flight testing, will enhance the aircraft’s capabilities for customers to access the most favourable routes as well as pave the way for future technological enhancements. The Learjet 75 aircraft is the best performing productivity business tool in the light category – and the avionics enhancement takes the aircraft to a new level of efficiency and effectiveness. 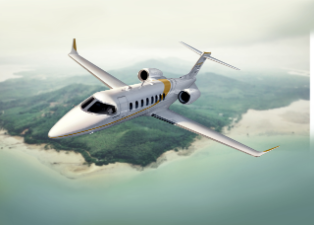 The updated avionics suite will be offered on new Learjet 75and Learjet 70 business jets with a retrofit on in-service models made available concurrently. This entry was posted in Airlines, Transportation, Travel, Travel Services, Travel Tech, Travelers and tagged aircraft, avionics, Bombardier, Carl Wolf, Garmin, Learjet 70, Learjet 75, Peter Likoray, Vision flight. Bookmark the permalink.